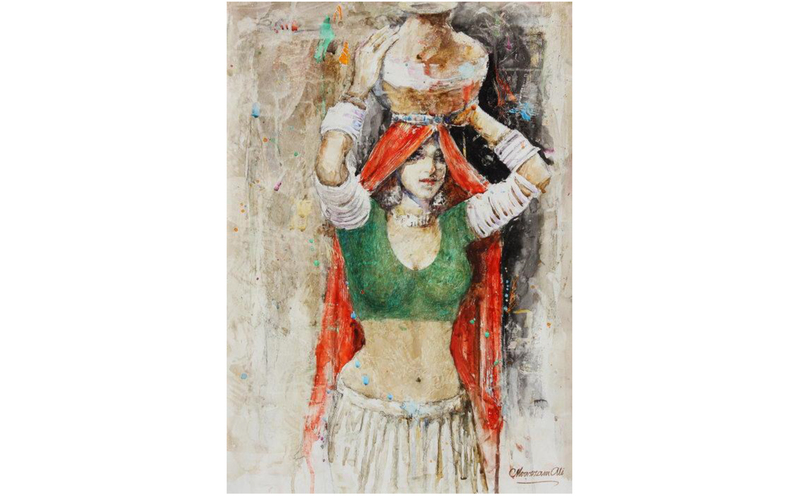 The ArtCiti gallery in Karachi recently displayed the works of Pakistani Water-colour Master Moazzam Ali. The exclusive exhibition of Ali’s paintings was displayed from 17th-20th January 2019 and showcased the artist’s iconic style and motifs. Moazzam Ali is one of Pakistan’s most celebrated water-colorists and has built an illustrious career that spans over three decades. 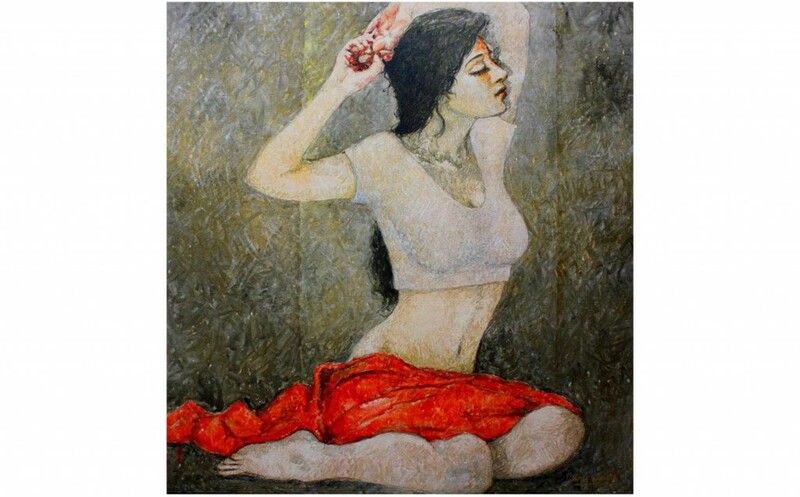 An alumnus of the Karachi School of Art, he graduated with a degree in Fine Art in 1980 and a gold medal for securing the First Position of his class. He has since participated in several groups and solo exhibitions around the world. In 2007, Ali was awarded the title ‘Master of Watercolour’ by the Whitney Museum of New York, USA. In the same year, his self-titled book, covering his life’s work as an artist and containing over 150 paintings, was published in his honour. In 2016, Ali became the recipient of the Tamgha-e-Imtiaz, Medal of Excellence, which is a prestigious civil accolade presented to an individual by the State of Pakistan in recognition of their outstanding achievements. The artist has been commissioned to create works that are now in collections by President’s House, Prime Minister’s House, Governors’ House, Embassies, Bank, Hotels and Museums, etc. He has served as a principal to two art colleges and an Art Director to an advertising agency for several years. Most recently, in 2018 Ali was awarded the Lifetime Achievement award by the International Art Biennale in Jamshoro. 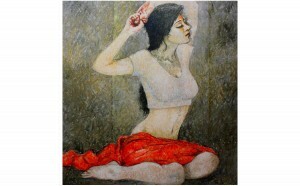 He has exhibited in countless national and international exhibitions in countries such as the United Arab Emirates and America. 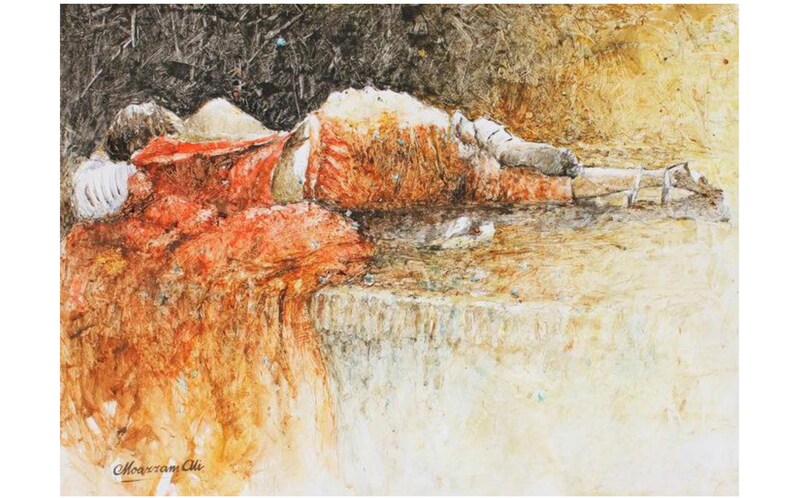 The artist has long experimented with Watercolour and his unique use of the medium has become synonymous to his name. Though a transparent medium, Ali manages to create, depth, texture and even opacity through his dexterity. His paintings are a blend of strong brushwork and minute detail. The works appear fast and impressionistic but the main figures in his paintings appear painted with precision and introspection. Ali’s fascination with the Thar community of Pakistan has long been apparent through his oeuvre. 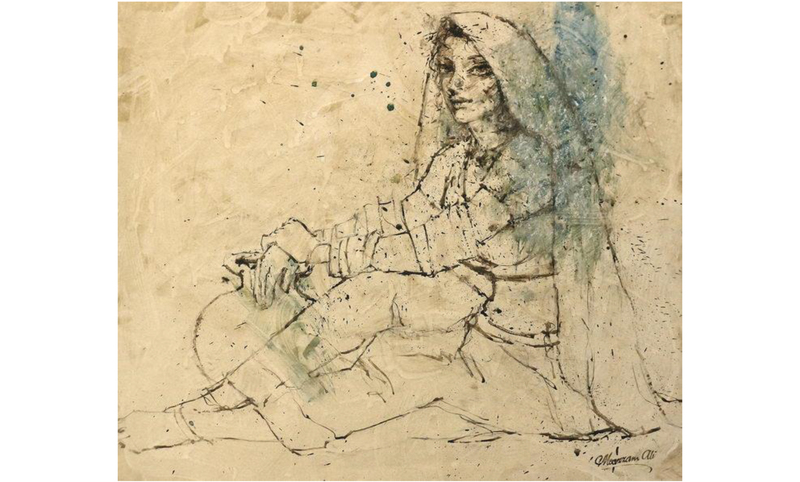 This exhibition focused on his paintings of the local women of Thar and the Indus Valley. 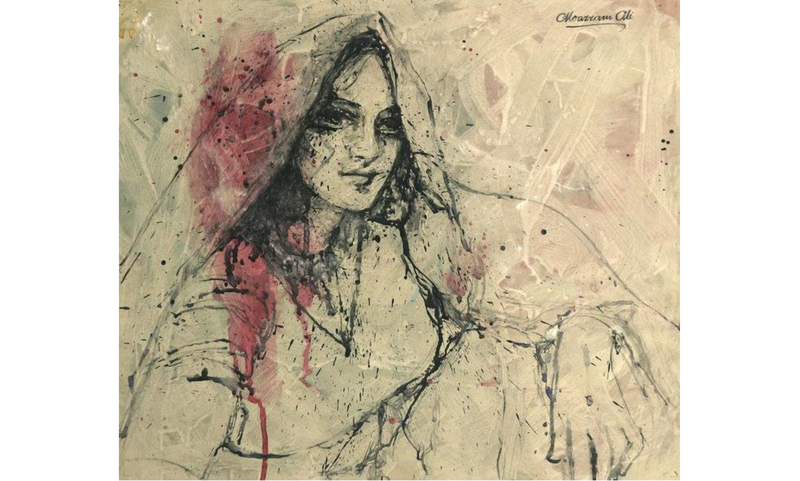 Be through a linear drawing or a detailed painting, Ali artwork focuses on the natural beauty of these women and their relationships to the arid spaces. Through many of his paintings, it becomes evident that the artist allows his painted protagonists to speak to audiences through their eyes. Big, detailed eyes stare off the paper and to the viewer, just waiting to be read and understood. In some cases, the artist exaggerates the eyes, perhaps as a way to create a focal point and force to the audience to take notice of them. Ali also pays great attention to women’s attire, making sure they are culturally appropriate. Ali has a keen sensibility and aesthetic. Each artwork is composed with such precision that the viewer can’t help but stare. Even on the artworks of liner drawings, the artist creates such strong and fluid backgrounds that the drawing can be perceived as complete. His brushstrokes are strong and confident and his understanding of form is flawless as is evident from his drawing works. There is a clear understanding of the medium as well. Though appearing as random drips of paints and brushstrokes in his paintings, they are actually cleverly thought out so that each drip and each stroke add to the works by means of creating eye-movement, color-contrast and even highlights. 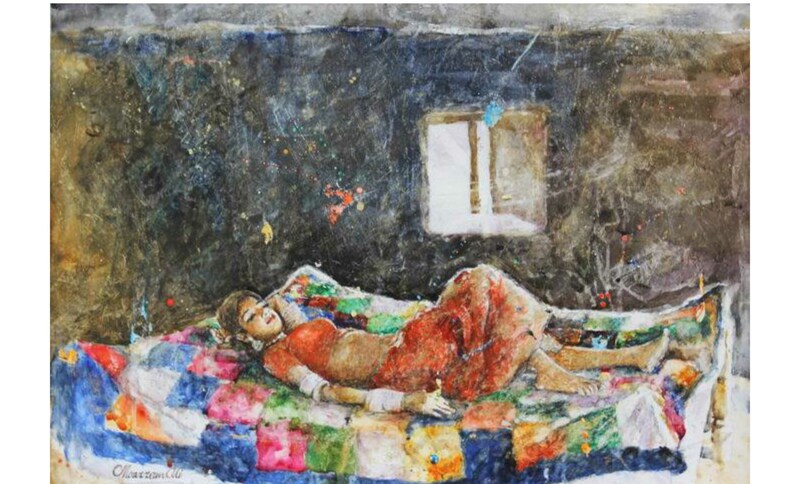 Moazzam Ali is one of Pakistan’s few contemporary watercolour masters. His paintings are evocative of simpler times and provide a breath of fresh air in a fast-paced world. 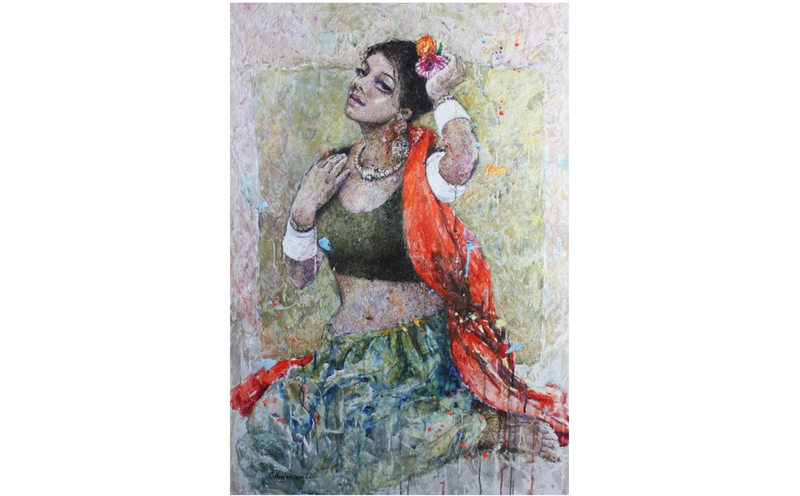 His colour palette is fresh and inviting, as our, the painted women. His exclusive style though inimitable is still the perfect educational example on the diversity of the deceptively simple medium of watercolor.